Weston A. Price - The truth about food and medicines. Dr.Weston A. 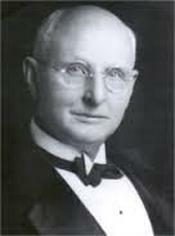 Price (1870-1948), an American dentist, has been called the “Isaac Newton of Nutrition.” In the 1930's Price travelled all over the world in order to study isolated human groups, including remote villages in Switzerland, Gaelic communities in the Outer Hebrides, Inuits and Indians of North America, Melanesian and Polynesian South Sea Islanders, African tribes, Australian Aborigines, New Zealand Maori and the Indians of South America. Wherever he went, Dr. Price found that beautiful straight teeth, freedom from decay, stalwart bodies, resistance to disease and fine characters were typical of primitives on their traditional diets, rich in essential nutrients. On the other hand, he noticed that where there were nutritional deficiencies the result was physical degeneration in the form of dental caries, deformed dental arches with crowded, crooked teeth. When Dr. Price analysed the foods used by isolated primitive peoples he found that they provided at least four times the calcium and other minerals, and at least TEN times the fat-soluble vitamins from animal foods such as butter, fish eggs, shellfish and organ meats such as liver and kidney. The importance of good nutrition for mothers during pregnancy has long been recognized, but Dr. Price’s investigation showed that primitives understood and practised preconception nutritional programmes for both parents. Many tribes required a period of premarital nutrition, and children were spaced to permit the mother to maintain her full health and strength, thus assuring subsequent offspring of physical excellence. Special foods were often given to pregnant and lactating women, as well as to the maturing boys and girls in preparation for future parenthood. Dr. Price found these foods to be very rich in fat soluble vitamins A and D nutrients found only in animal fats.